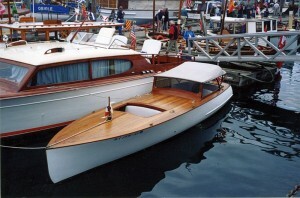 Our Newest Listing: a stunning Crouch designed, long deck launch: 24 ft, 2002. 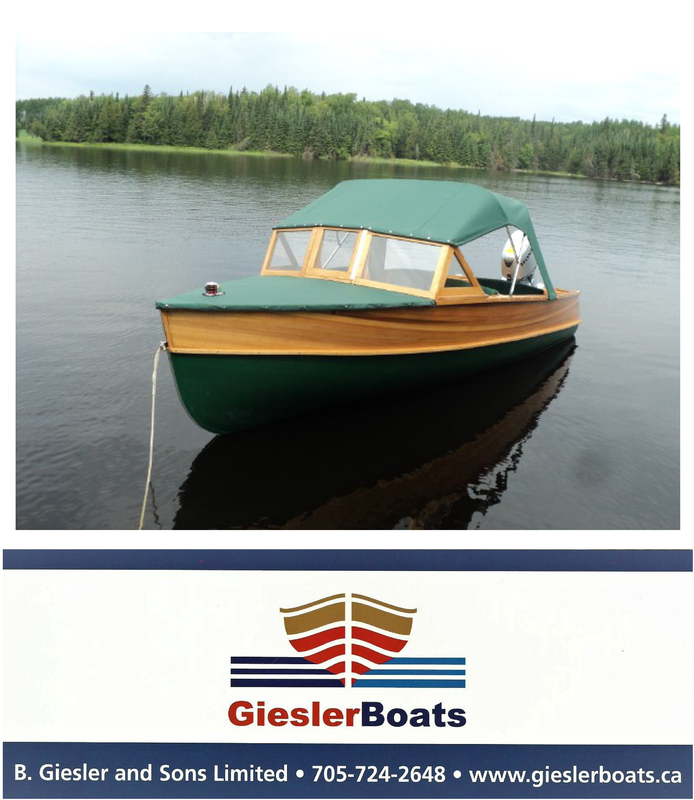 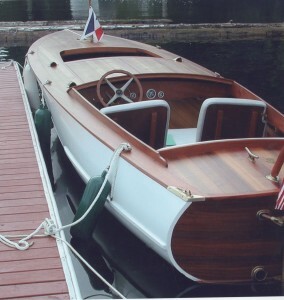 This beautiful reproduction runabout is a 1920s George Crouch displacement design. 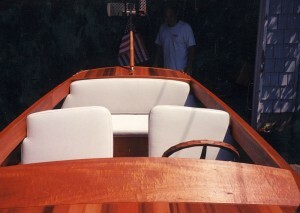 The construction features planked red cedar on oak frames, traditionally built. 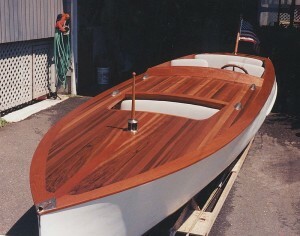 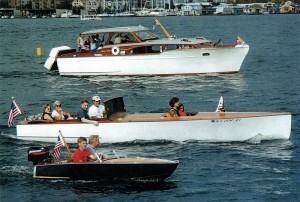 All hardware was cast by the builder, David Berg, of Berg Boats in Washington USA. 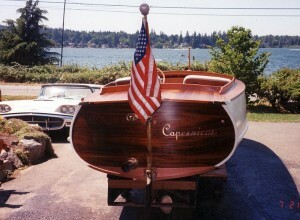 “Copernicus” features a custom convertible top, with book matched decks. 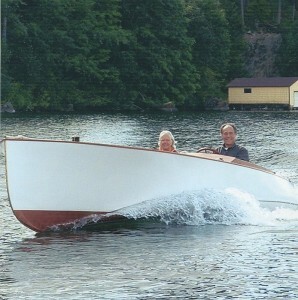 She is powered by a 4 cylinder, 120 h.p. 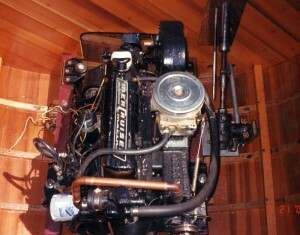 Mercruiser engine for reliability and efficiency.